Lisa R. Young, PhD, RDN, is an internationally recognized nutritionist, portion size expert, and adjunct professor of nutrition at New York University. Dr. Young is the author of Finally Full, Finally Slim: 30 Days to Permanent Weight Loss One Portion at Time and The Portion Teller Plan and is regularly called upon by major media outlets as an expert voice on nutrition and health. 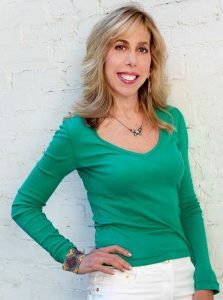 She has been counseling clients for more than 20 years, blogs at www.drlisayoung.com, and inspires her community to make healthy food and lifestyle choices. 1. Why did you decide to pursue a career as a Registered Dietitian? I’ve always loved all things health related. I’ve chosen to pursue a career in nutrition and become an RDN as I love helping people, I love all things food, and there’s so much people can do proactively with proper eating to improve our health. I love helping people create healthy meal plans and make small changes to their diets that can impact their lives. 2. What interests you most about health and nutrition? I love that we are always learning and that the field is still evolving. And everyone eats so they can relate to what we do. I enjoy science and psychology as well as behavior change. Nutrition and health deals with both of these. 3. How has nutrition awareness changed since you started working in the field? We are so much more aware and interested in nutrition than we were in the past. Even just in the past 20 years—so much has changed. Major news media addresses nutrition and food issues on a daily basis. 4. What’s one of the craziest nutrition myths you’ve heard of? That a food has negative calories. I call that wishful thinking! 5. What is your favorite healthy snack? I love a spoon of peanut butter on an apple or a blueberry kale smoothie. And for some crunch, Crispy Green Crispy Fruit to the rescue! 6. What is your guilty food pleasure? Peanut butter ice cream. Moderation of course! 7. What’s a typical day look like for you? I don’t have a typical day which is what makes my job as a registered dietitian nutritionist fun and exciting for me. Sometimes I teach, other times I do nutrition counseling, and often times, I write.